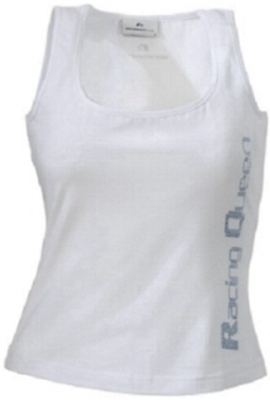 BMW Williams Ladies Top - ''Racing Queen'' - REDUCED ! << Back BMW Williams Ladies Top - Racing Queen - REDUCED ! BMW Williams F1 Ladies Top ''Racing Queen''. 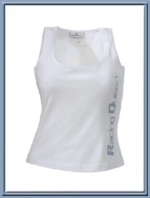 Fashionable, white, ladies top with vertical "Racing Queen" script on the left side, made out of strass stones.